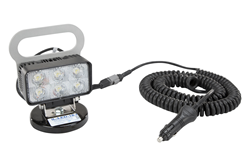 Larson Electronics, a longtime leader in commercial and industrial grade lighting equipment, has announced the release of a magnetically mounted LED flood light that provides operators with a compact and powerful LED lighting solution. 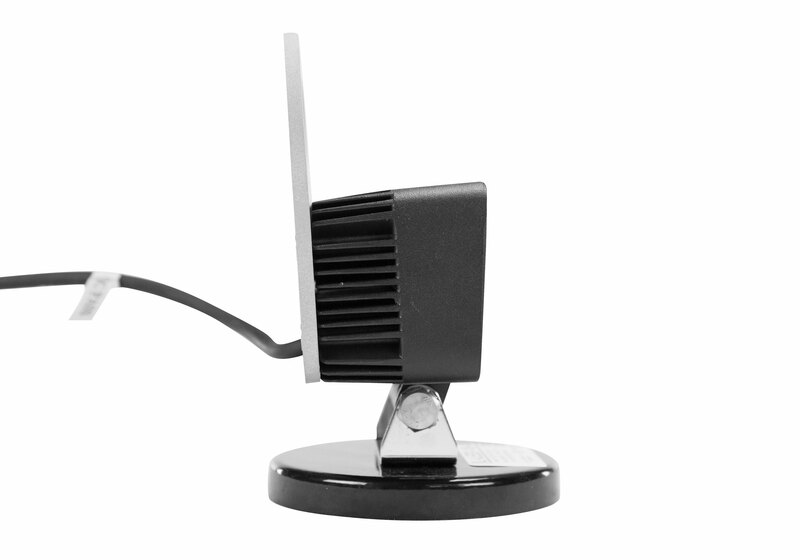 The IL-LED-18-M magnetic mount LED light from Larson Electronics produces 1,400 lumens of bright light while drawing only 18 watts of power from a 12 volt electrical system. Six high output light emitting diodes are arranged in rows and paired with high purity optics to produce a wide 60 degree flood beam. The housing on this unit is constructed of die cast aluminum and the lens is unbreakable polycarbonate. 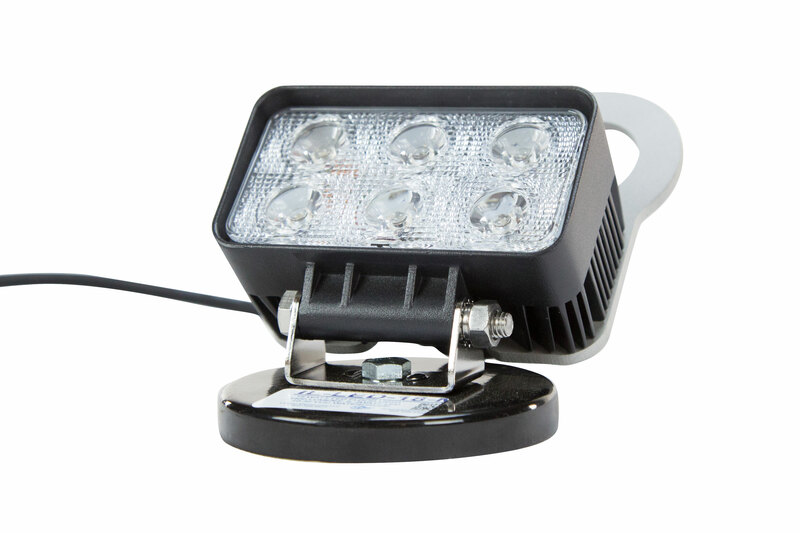 This LED light is IP67 waterproof, sealed against intrusion by dust and dirt and ruggedly constructed to withstand demanding environments, conditions, and applications. These units can withstand rapid temperature changes of -40 degrees Celsius to 85 degrees Celsius and are recommended for use in high humidity climates, very cold areas, and rough saltwater conditions. 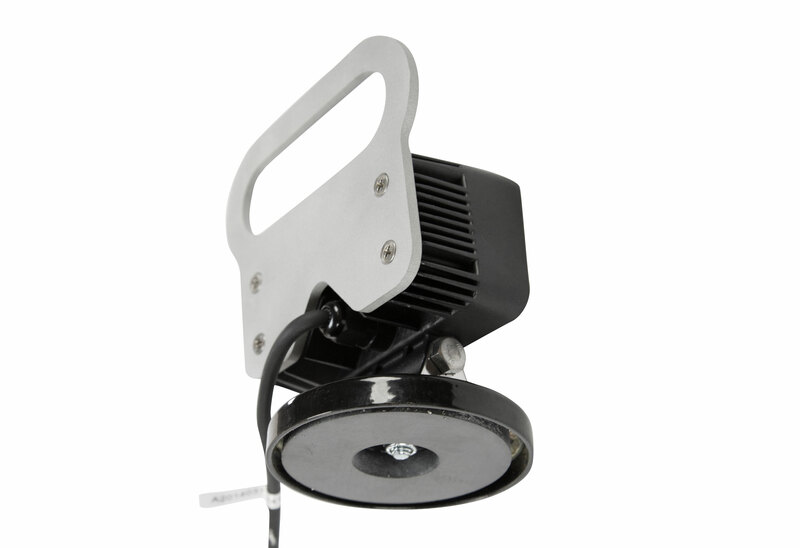 The 18 watt LED light head is equipped with a precision machined handle and a 100 pound grip magnetic base. Each unit is equipped with a stainless steel bracket allowing the light to be moved vertically once mounted to a metallic surface. 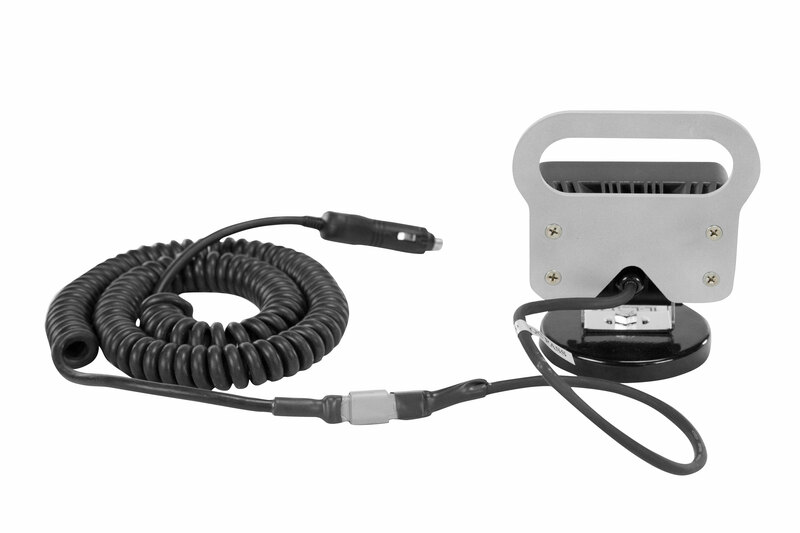 This unit is configured to operate on 12 volts DC and is equipped with an optional 16 foot coil cord with a cigarette plug, a 16 foot straight cord with a cigarette plug, a 21 foot cord with battery clamps, or a 21 foot cord with ring terminals.